A Great Entry Level Case For The 1st Time Builder. 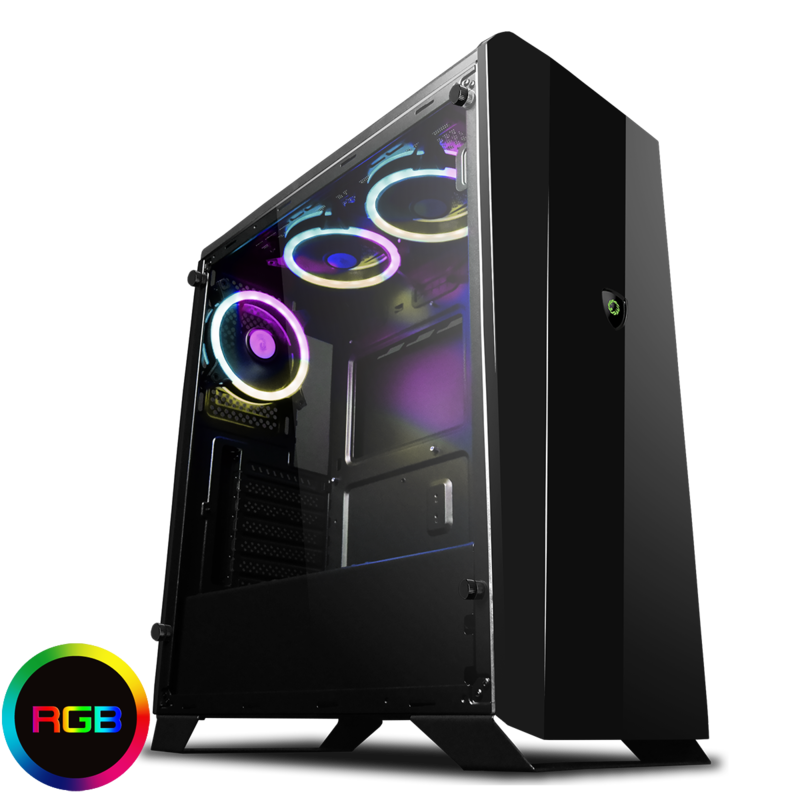 Brand new for 2018 Game Max are proud to introduce the stunning Aurora RGB Midi Tempered Glass Gaming Case, with a full tempered glass left side panel. 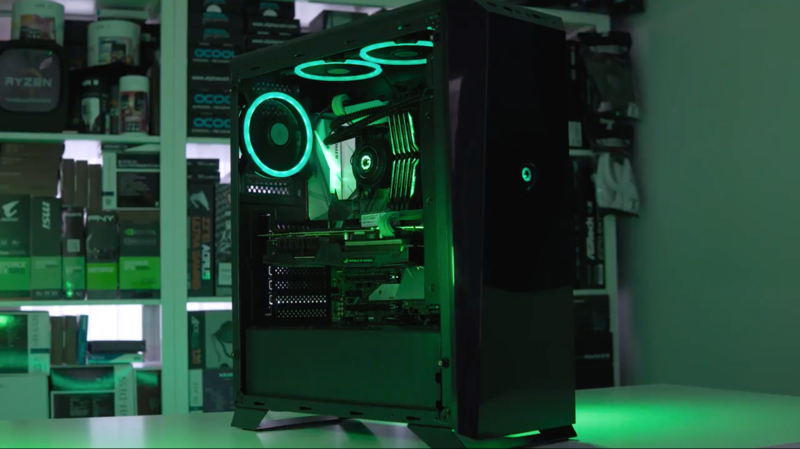 With three Dual-Ring Halo Spectrum fans pre-installed, two on the top and one on the back the Aurora is the ideal solution for the gaming enthusiast and an excellent cooling solution to help keep the computer temperature low. 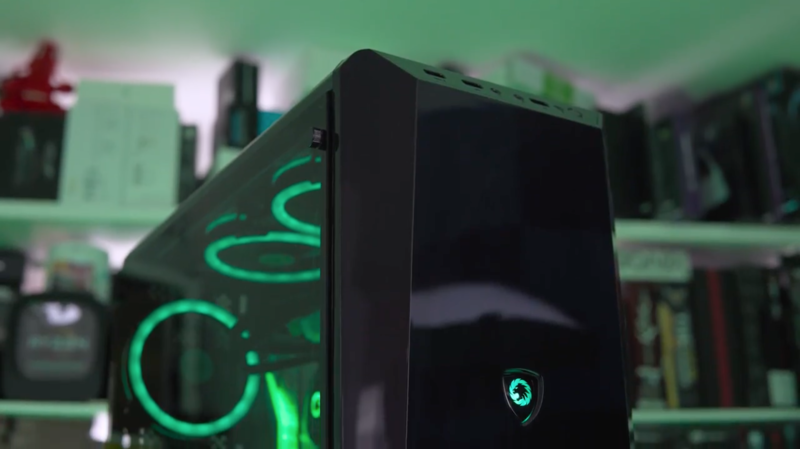 A modern design and the capacity to fit up to 5 fans in total means this case can accommodate any gamers needs no matter how big the challenge. With the Aurora you can control your fans with the included Remote Controller, that works in tandem with your built-in PWM Hub located behind the M/B panel. 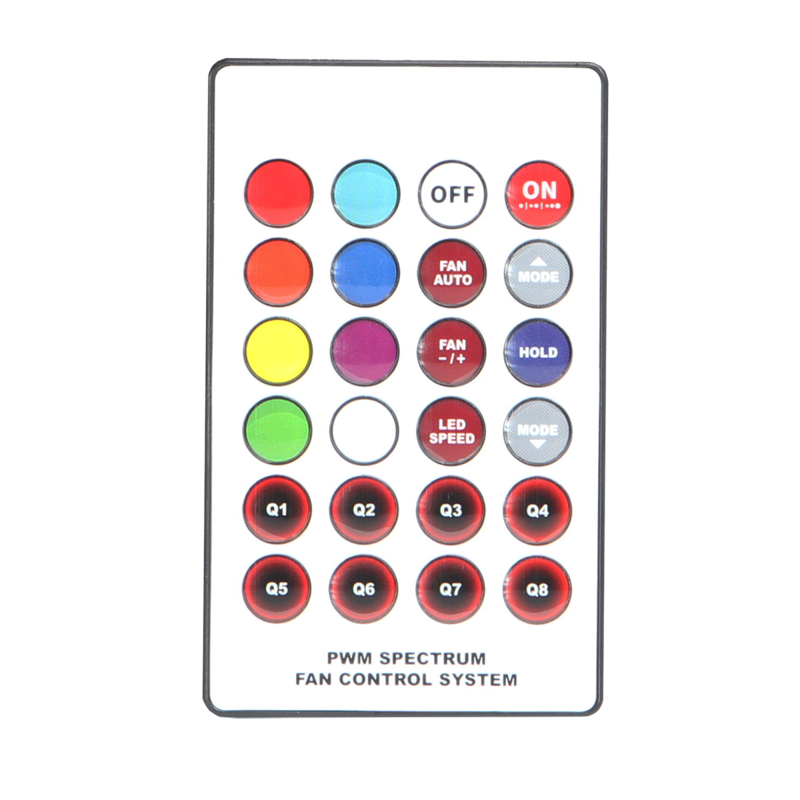 You can select from many different colour modes, and with the PWM function you can even control your fan speed directly from the remote. The Hub uses 6-Pin connections and can control up to 10 addressable devices. 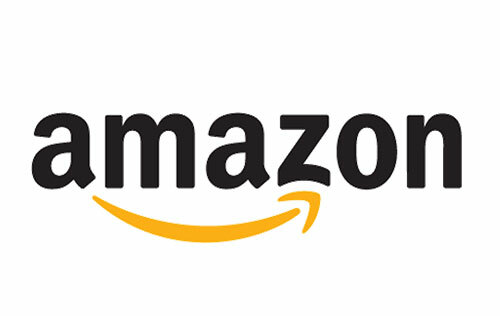 There is HD Audio, 1 x USB 3.0 and 2 x USB 2.0 situated on the top panel to give the user easy access so they can connect to a wide range of media storage devices. In line with the Game Max ethos this case offers style, performance and the ultimate experience. 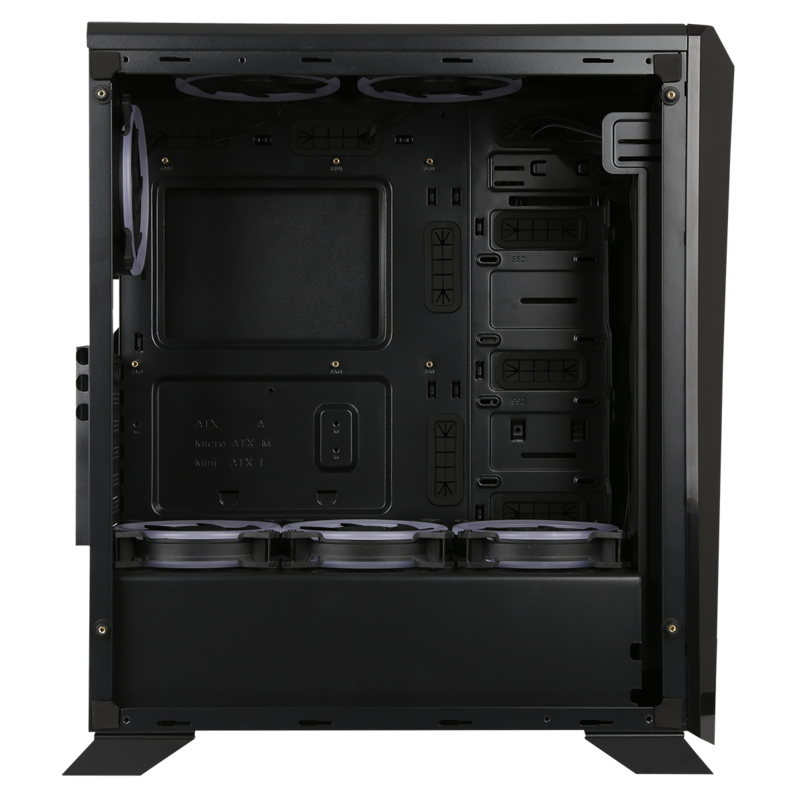 Design – The Aurora is a premium designed Midi Tower gaming case with a tempered glass left side panel and right panel vent hole to allow more airflow into the case. 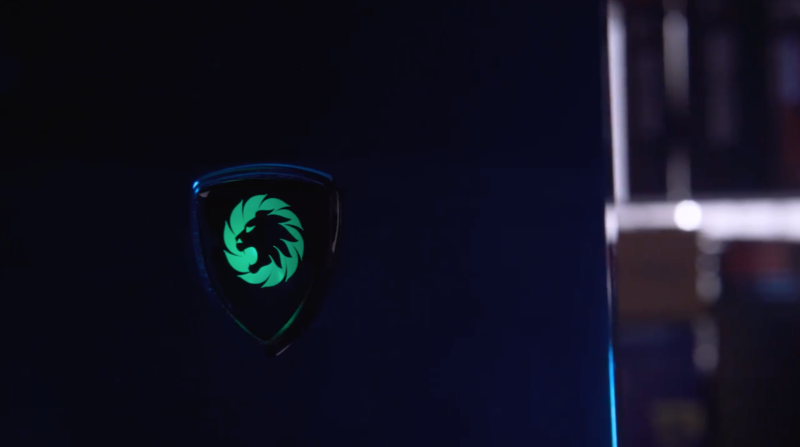 LED Power button – The Aurora is designed with a Game Max green LED button on the front. 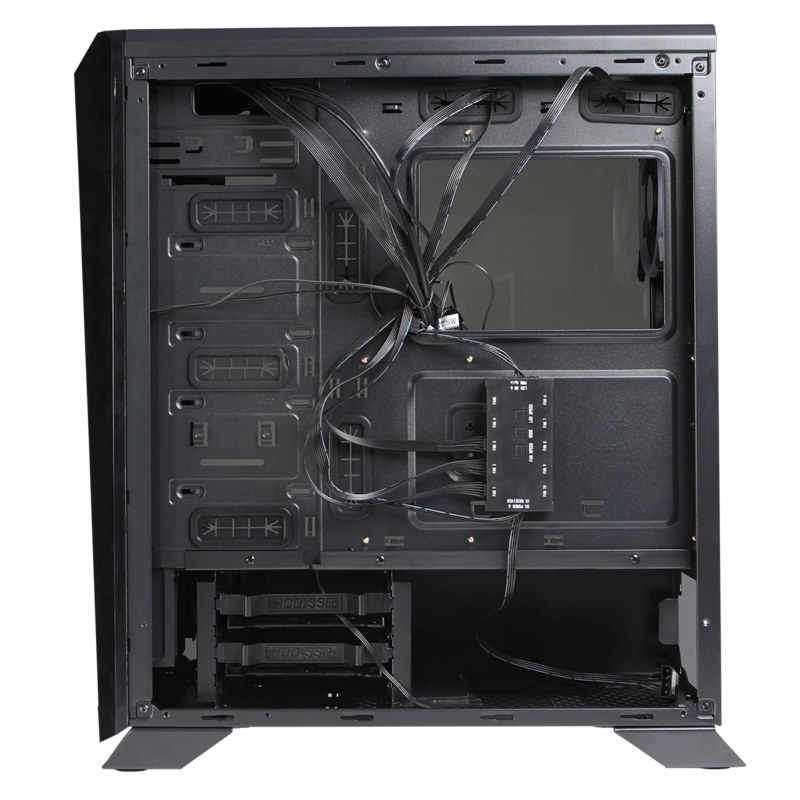 Tempered Glass Side Panel – The Aurora comes with a full tempered glass left side panel so the user can show there internal components. 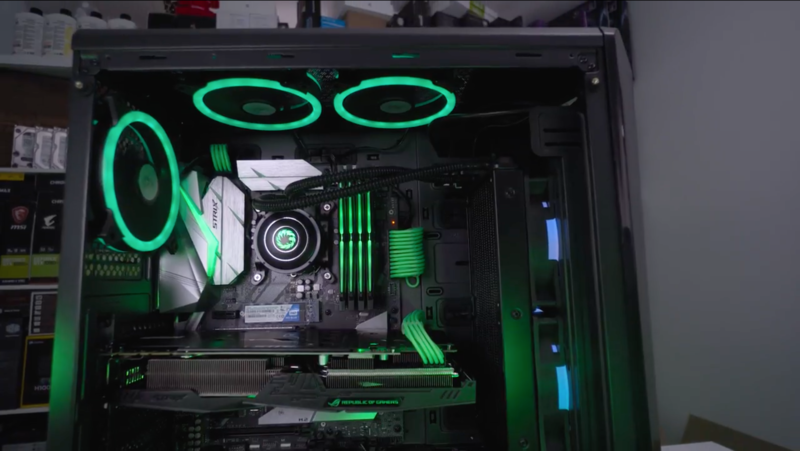 Dual-Ring Spectrum Fans – The Aurora can fit up to 5 fans but it comes with 1 Dual-Ring Halo Spectrum fan at the back and 2 Dual-Ring Halo Spectrum fans at the top to give your case some added colour. PWM Hub & Controller – The Aurora comes with a PWM hub and remote controller it allows you to connect to 10 devices. Having the hub included keeps your chassis interior clean and tidy. 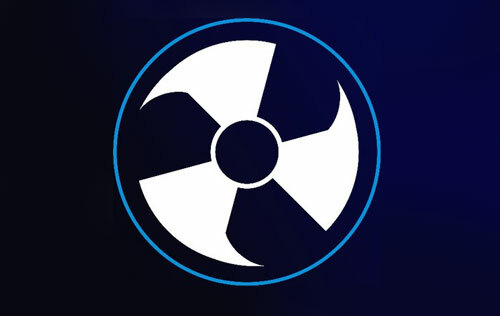 The remote controller allows you to light up your fans 7 different colours (Red, Blue, Green, Cyan, White, Purple and Yellow), as well as being able to change the colour of the fans the remote control comes with 8 different preset modes. 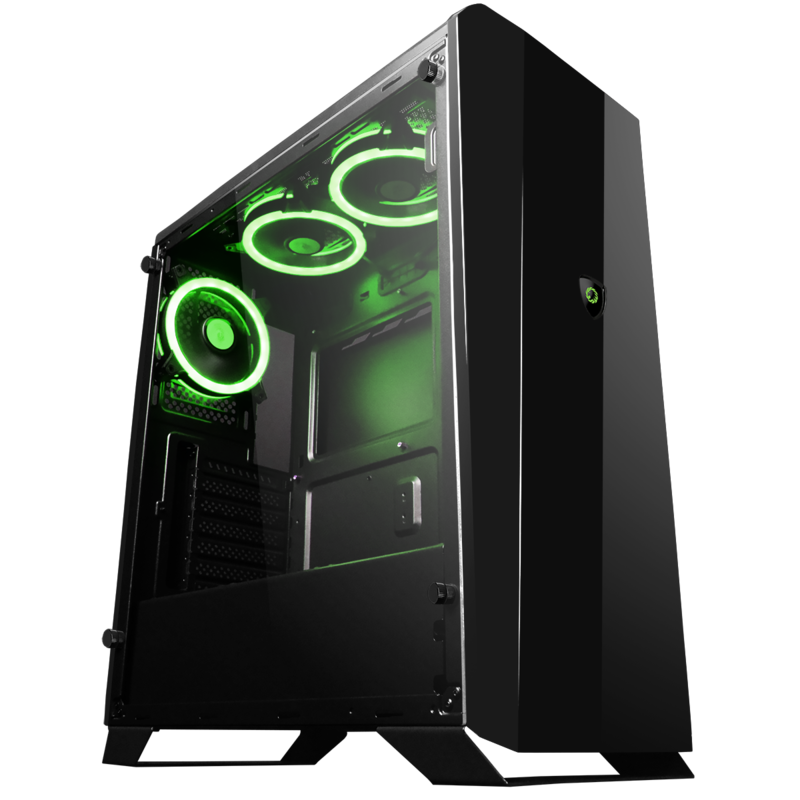 Water-Cooling Support – The Aurora can fit 1 x 120 / 140 / 240mm radiator at the front, 1 x 120 / 140 / 240 / 280mm radiator at the top and 1 x 120mm radiator at the back to give the user extensive water cooling support. I/O Ports – The Aurora comes with super speed I/O Ports on the front panel to give the user easy access, it comes with HD Audio, 2 x USB 2.0 and 1 x USB 3.0.